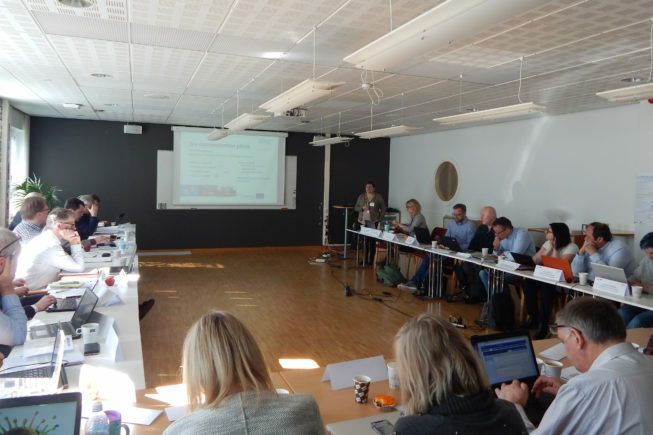 The project meeting of the Green PE project was a great opportunity to gather the members of the Stakeholder Advisory Group (SAG) for their second meeting on March 22, 2018 in Stockholm, Sweden. How to make the best use of the information compiled in the regional mapping and how to raise its outreach to companies? In which direction could the demonstration pilots be further developed to increase their impact on promoting new companies to implement the wide bandgap technology? Which steps should be taken to reach more relevant stakeholders on the project activities and how to meet companies’ interest in the best way? The members of the SAG shed new light on these kind of questions by providing fruitful feedback to the project consortium, leading the way to a successful project outcome. Altogether, the participants of this meeting were left with the feeling that the Green PE project is on the right way to achieve its set goals and reach the relevant target groups. The SAG consists of representatives from the different countries involved in the Green PE’s project consortium. Its members provide significant input to the strategic management of the project and give important impulses and advices from a stakeholder’s point of view.